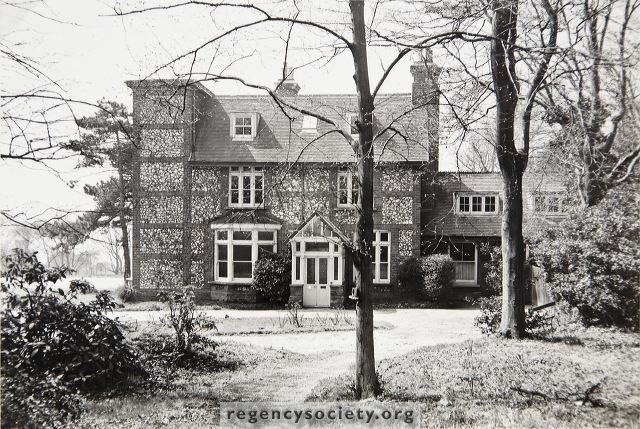 These photographs showing the extensive area occupied by this house and grounds were taken in 1963, just before demolition of the buildings commenced. There is some doubt about the date of this house. It is first mentioned in the 1897 Directories, but at one time it had the old entrance gates of Chain Pier esplanade, removed in 1871, so the house may have dated from about that period. For many years before its removal Dr. Barnado’s Homes occupied it. The estate is now being developed with smaller detached houses.